Reetsyburger's Refuge: Birthdays, anniversaries, and headphones! Oh my! Three cheers for the gorgeous weather in Minneapolis this weekend. I'd like to thank Ma Nature for that! Big up yerself, ma! gerg and I celebrated ourselves this weekend with a grand outing. 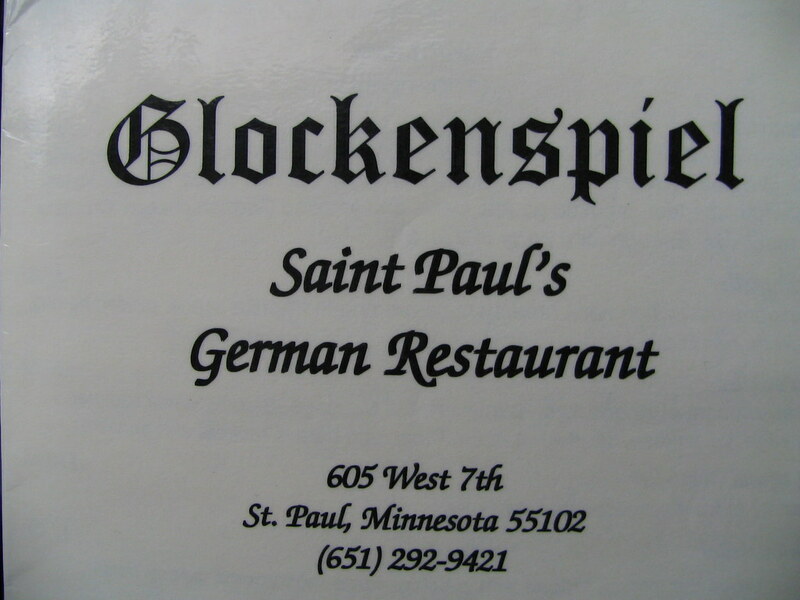 First, we headed into St. Paul, without a destination for food, but stopped at a joint called the Glockenspiel Restaurant. The Old World charm of this place was as welcoming as the bartender, who was pleased to host our lunchtime date. The menu was packed full of all kinds of pork and beef dishes that I couldn't pronounce. I noted one (of two) vegetarian items on the menu: Spargelbread. It was a hug hunk of toast topped with asparagus, and a Swiss-cheese sauce with tomatoes, red onions, and other veggies in a vinaigrette. Sounds peculiar, tastes spectacular. 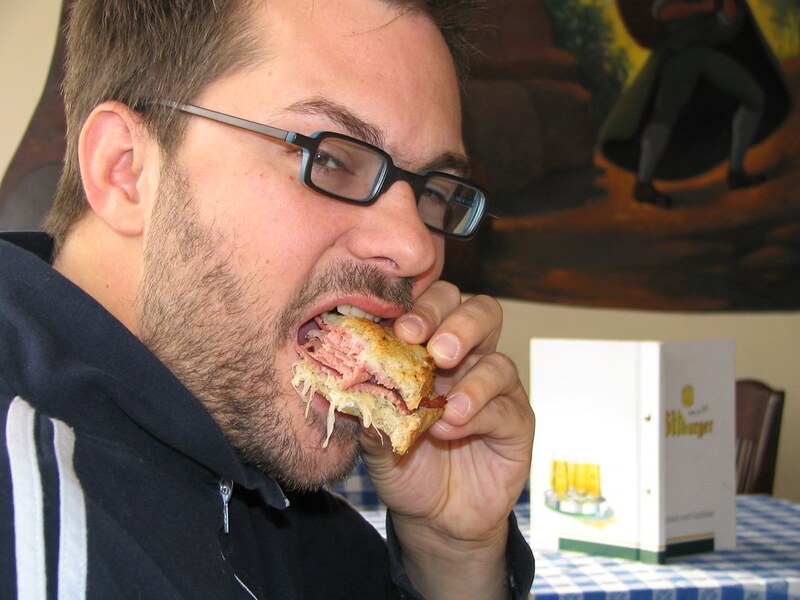 gerg ordered his FIRST EVER Reuben sandwich and he loved it! We each sampled an adorable lil' mug of Applekorn for dessert. 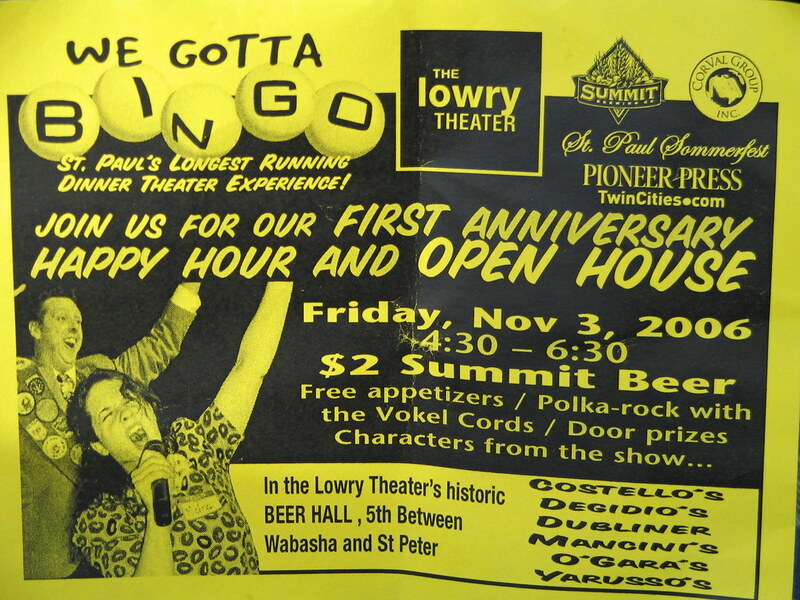 Our server is a star in St. Paul's hit show, We Gotta Bingo at the Lowry Theatre. We enjoyed sitting in the sunny spot at the front of the restaurant, but were busted for smooching there by our server. After lunch, we hit a Starbuck's that was conveniently located next to the neighborhood hardware store. gerg's been looking for a portable compound mitre saw. One of the gentlemen working the showroom showed me the bad side of his manners, so gerg didn't buy the saw he liked. We'll go back and buy it from someone polite. 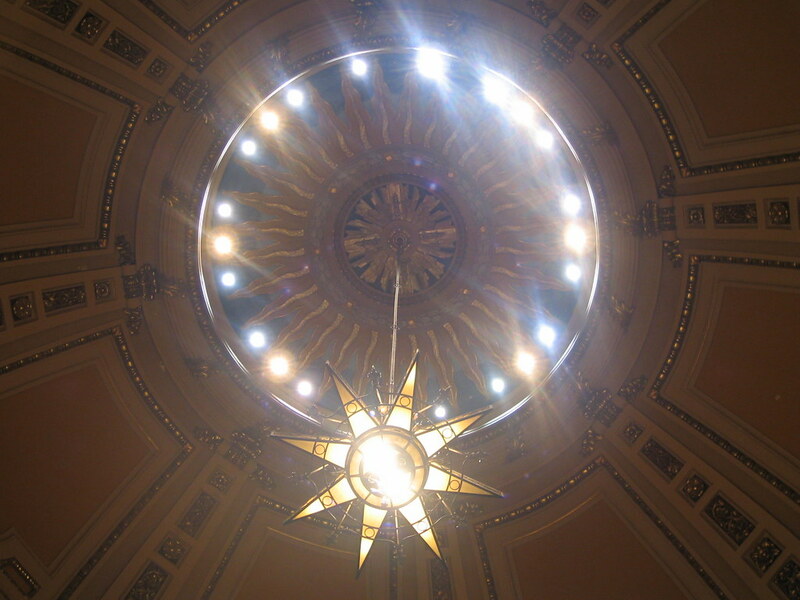 I was slightly soured by the hardware store experience, and even got teary eyed, but gerg (in his typical fashion) cheered me right up by steering the truck towards the Cathedral of St. Paul. We walked in as the Minnesota Orchestra was wrapping up an afternoon rehearsal. We witnessed a quick tete-a-tete between Osmo Vanaska and a first chair violinist. 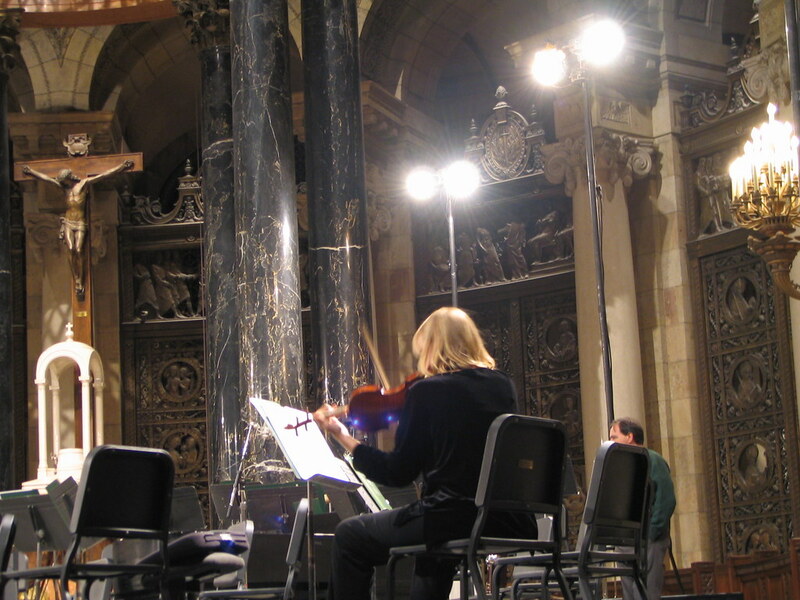 Then, we were lucky enough to witness a lovely violin solo in the cathedral. Simply gorgeous. Check out the Cathedral. Tours are available, or you can just walk around if you show up at the right time. 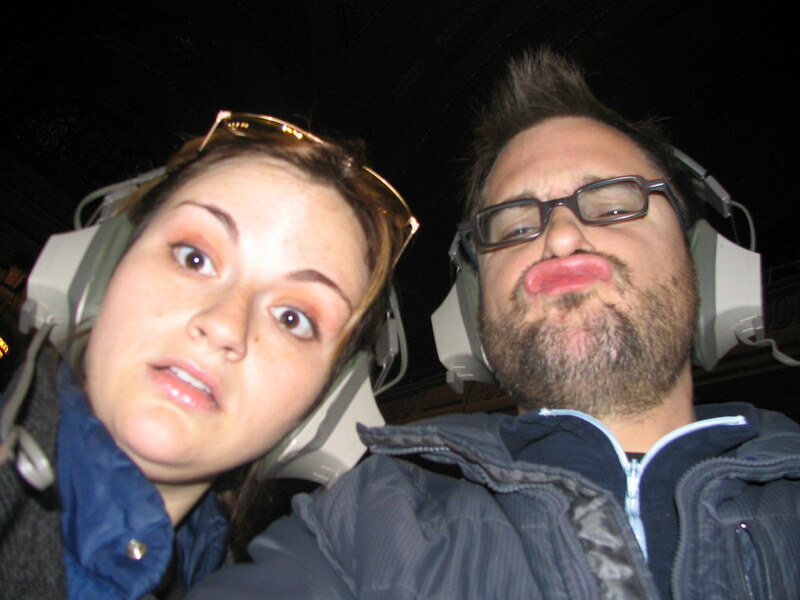 We found a video booth, where we took our official anniversary photo. 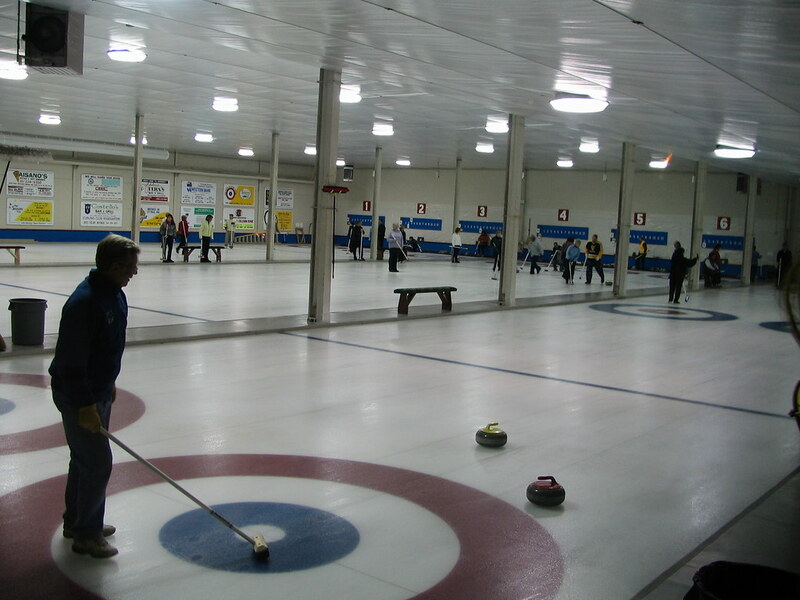 After that magical experience I was definitely more chipper, and we bopped over to the St. Paul Curling Club . A nice lady with a stressed out arch in her left foot gave me the skinny on curling. gerg filled in the gaps with what he knows from subbing last year. Seems like a fun past time. I'm gonna give it a go this year, if I get the chance, by acting as a sub for the team at gerg's office. The curling club was fun, but Keegan's was even more fun! The crew assembled there to surprise Dre for her 28th birthday - happy b-day Dre-Dre! 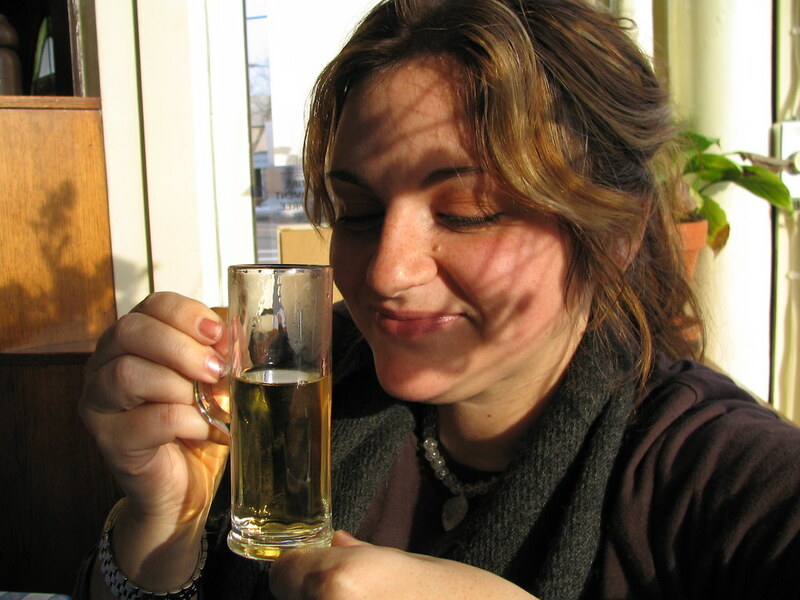 I sampled two jager bombs and some kind of tasty beer (not stout). 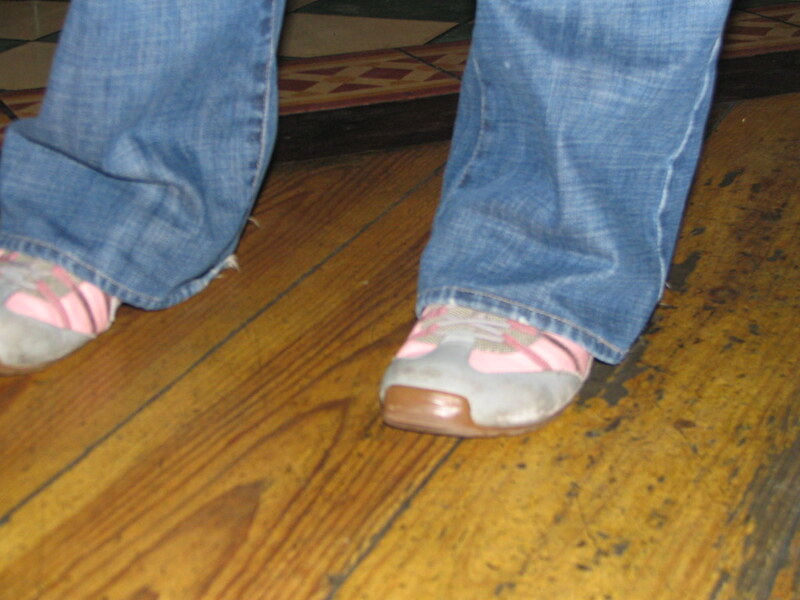 I had fun photographing friends' excellent shoes. 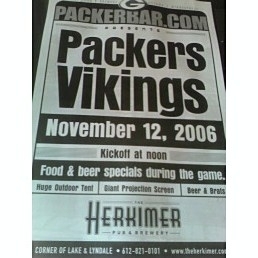 They had some great Happy Hour specials there, as far as beer and fried foods go. We didn't eat, but some others did. I heard Deedot say the fish was good. Plus, some babes were walking around with free Jameson (tainted with white soda pop). I forced myself to only taste the Jameson. By this point, gerg and I were truly enjoying our anniversary outing. Thanks to those who noted our anniversary! Origami! The icing on the cake! gerg and I headed to Origami for a romantic sushi dinner. Origami was the first place we visited for a date in Minneapolis. It is a romantic spot for us. We had some Yo Yo Maki rolls, a specialty of the sushi chef at origami. SO GOOD!! Of course, I had the Miso soup, and we tried the vegetable tempura (the squash was awxum). gerg sipped green tea (which was smart of him). I ordered a golden haze which was a combination of sake and Grand Marnier. Not as smart of a beverage choice as gerg's, but definitely TASTY. We love this place. I NEED to start taking gerg's libation recommendations seriously. Unfortunately, the golden haze was enough for me, and I started acting "goofy", so I cut our evening short (at 11:30pm). We had an additional plan for more fun out with friends, but that fun can be had another time. It was a great day, and gerg was a great date. 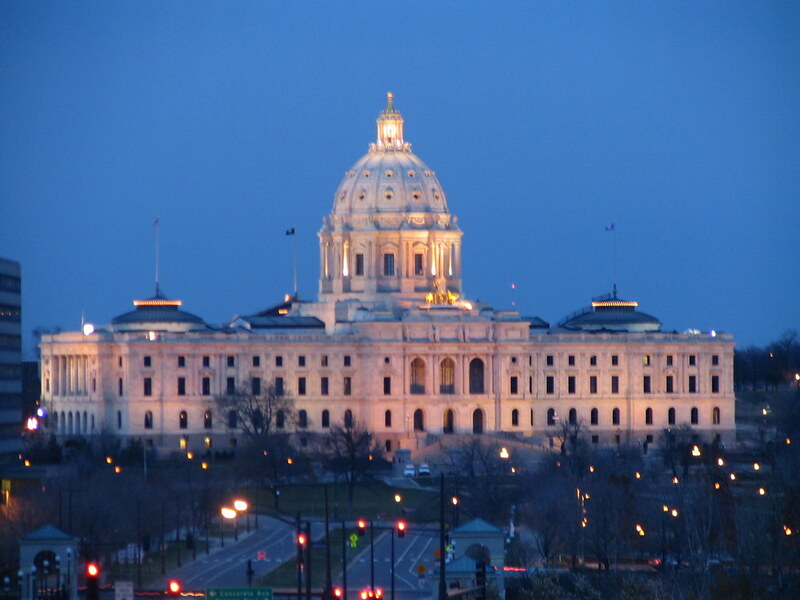 Looking forward to attending Minneapolis' Iron Fork with Reed and Sarah on Thursday. 8 chefs, 3 judges, 1 secret ingredient! 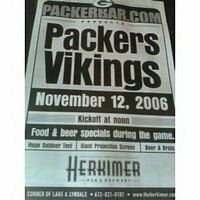 Also looking forward to the Packer/Viking event at the Herkimer next Sunday.